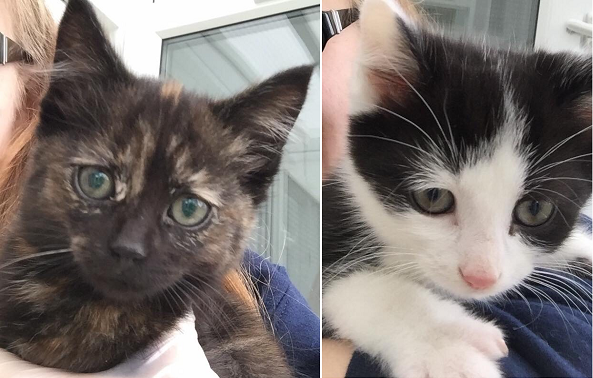 An appeal for information and the safe return has been issued for two rescued kittens who were stolen following a break-in at an animal rescue centre in Suffolk. The 12 week-old siblings, named Pluto and Lilo, were taken from their enclosure on 2nd January at the RSPCA Suffolk and East Ipswich branch after intruders trespassed onto the site forcing the cattery door open. They also took the kitten’s paperwork and veterinary notes. The kittens, who came into rescue with a sibling (who was rehomed on New Year’s Day) after being abandoned in November. Kennel supervisor Natalie Wood said: “We are really concerned for Pluto and Lilo and can’t understand why they have been stolen like this. “They are both fed a special diet to aid some health issues, so we are extremely worried for their wellbeing. Suffolk Police were called and a forensic team has investigated. No money or other goods were taken, apart from the kitten’s paperwork which was attached to the front of their enclosure, and a food bowl and toys. UPDATE: The kittens were safely returned on the evening of 2nd January.